Are you building a mission-driven startup that could improve the lives of low-income New Yorkers? The Catalyst program at Blue Ridge Labs is designed to help founders turn a proven but small-scale concept into a scalable technology platform. Over the course of six months, as part of a small cohort of other founders, we’ll help you build version 2.0 of your product and get it into the hands of real people for feedback and validation. In parallel, we’ll work with you to identify the other resources you’ll need to be successful over the long-term – things like funding, team members, and partners – and we’ll help you put the systems in place to do this well. The Blue Ridge Labs team specializes in creating and supporting early-stage social tech ventures (both for-profit and nonprofit). Alums of our Catalyst program have been named Echoing Green Fellows, raised rounds from prominent venture capitalists, received funding from major philanthropic institutions, been featured in NYTimes, Forbes, and more. Most importantly, the alumni of our programs help hundreds of thousands of people every day. Funding: $50,000, plus health insurance reimbursements and a dedicated research budget. Product Support: Hands-on coaching to help you build, test, and launch a scalable tech platform. Human Capital: Executive coaching to strengthen your core team. Plus, connections to external talent, advisors, and potential partners. Rescuing Leftover Cuisine is a non-profit that combats both food waste and hunger by collecting excess food and bringing it to local shelters. During Catalyst, they built an organized, volunteer tech team, created systems to support earned revenue, established a fundraising board, and doubled the volume of food collected. Catalyst does an excellent job helping a young startup focus on the key targets for development. And they provide not only technical support to reach those targets, but insights and personal support for the team that is as important, if not more so, to success. 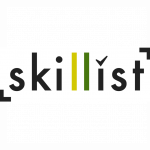 Skillist is a for-profit, skills-based hiring platform that connects companies looking for professional talent to relevant, often-overlooked job seekers. During Catalyst, they started working on the company full-time, launched v2.0 of their product with paying customers, and raised a pre-seed round. The strongest candidates for Catalyst are teams that have developed and launched a small-scale version of their product into the world and are ready to apply what they’ve learned through that process towards building a scalable platform. These early versions can be extremely low-tech or cobbled together from existing tools (think Google Docs and Typeform). They may only have been used successfully by a few dozen people. The critical element is that they have been used by real people in the real world. And that this has happened as many times as it takes for the founders to validate the need for the product, refine the process by which it delivers value, and identify the barriers to scale that need to be addressed by new platforms and systems. While there are no hard rules, we find that the best fit teams for Catalyst are typically less than 2-3 years old and have raised less than $400,000 in total funding to date. Preferably, have at least one full-time team member who can work from NYC for the duration of the program but at a minimum can commit to our remote attendance policy. We are committed to fostering a community that values diverse perspectives and experiences, particularly from those who we aim to serve. We actively seek founders from, or who have worked closely with, historically marginalized groups, including but not limited to: people of color, people with disabilities, LGBTQIA+ people, first- or second-generation immigrants, and people from low-income families. Applications for our next class will open in fall 2019.